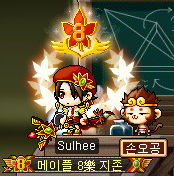 This is long overdue since KMS 8th Anniversary ends next week, but I'm gonna show you guys what I was able to accomplish and obtain from this year's event. 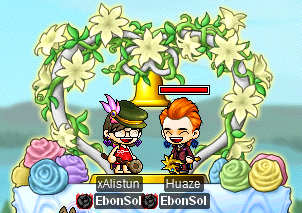 For this year's anniversary, they released new Maple Item Sets, a Lvl 45 & 70 set. Below I'll show you my Lvl 45 & Lvl 70 Set. The image above is my equip set, take into account that my weapon is a staff there, every class has their own Maple Weapon. AND when you equip them all, you get this awesome effect! 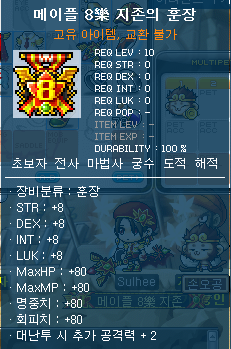 In my Lvl 70 Equip set, I used an Anniversary Scroll on the Cape, the original stats for it is +1 STR/DEX/INT/LUK. Equipping all the Lvl 70 Items will give this effect! 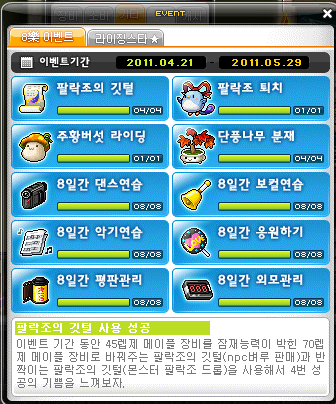 One way of getting the Lvl 70 Equips is upgrading them from the Lvl 45 ones with a special scroll. 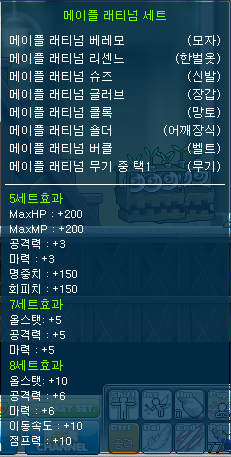 This scroll can be obtained from killing Palibirds (Anniversary Mob) or from an Anniversary Box. The one obtained from the Mob is 100% and the one obtained from Anniversary Box is not. When the equip upgrades from Lvl 45 to 70, it automatically has potential. 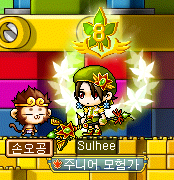 This is the 8th Anniversary Medal. The stats are quite amazing. 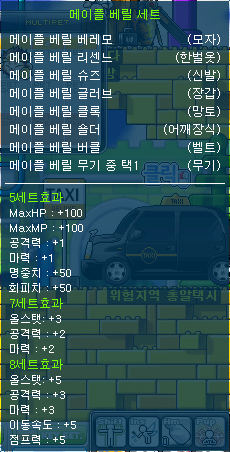 The only downside is that it is a Durability item, so once it reaches 0%, you'll have to repair it. 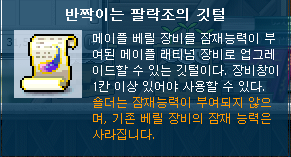 To Obtain the Medal, you'll have to obtain the quests listed on the left. Some quests require you to repeat it up to 8 times! You'll only be able to complete each of them once a day. Don't worry though, the quests are very simple and easy. Currently, there is a Tespia round being held in GMS. I only logged on for a while because there aren't really any updates. The new patch pretty much consist of new NX items and the Pie Vs. Cake event from last year. The only thing worth showing you guys are the new items you can exchange from the Pie Vs. Cake event. Click on the images below to view them. I uploaded new videos of my Cleric/Priest after the Spell of Awakening Patch. This patch was a reconstruction of all Magicians' skills. They boosted the powers of them a lot. The sets look pretty cool. 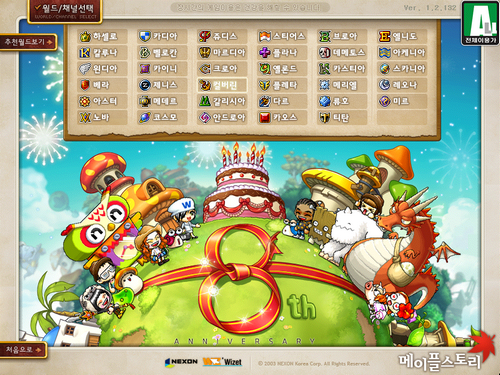 You think GMS will get those items and quests next anniversary?